Everyone knows cobras, rattlesnakes and coral snakes, but there are plenty of venomous snakes around the world that are seldom heard of. This is a small selection of these unknown, and often deadly, species. Although related to true cobras, the water cobra actually belongs to a different genus and gets its name after its ability to flatten its ribs to form a “hood”, similar to that of their more famous relatives. 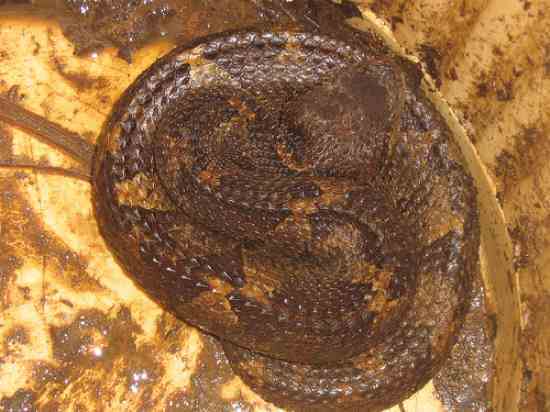 There are two species, the best known being the ringed water cobra. Water cobras are found in Africa, and can grow up to 2.7 meters (8.86 feet) long. They are indeed mostly aquatic, never wandering far away from the water, and can remain submerged for a long time. Very venomous, but shy; will only bite if provoked. This snake is not to be confused with the Giant water cobra, or false cobra (Hydrodynastes), from South America, which, although larger, isn’t nearly as dangerous. The Mamushi is Japan’s most dangerous snake; it is also found in Korea and China. 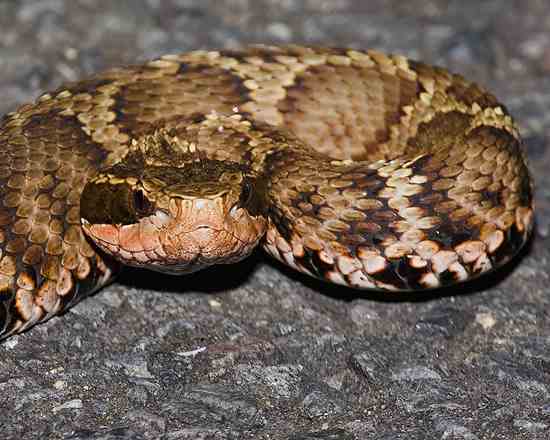 It belongs to the pitviper family along with the rattlesnake and the American copperhead. It can grow up to 90 cms (3ft) long, but is usually smaller; nevertheless, it is highly dangerous due to its hemorrhagic venom, delivered through long, retractable fangs. It feeds mostly on fish, frogs and small mammals, and is viviparous. With their short, thick bodies and large, flattened heads, these pitvipers are highly reminiscent of African species such as the Gaboon viper and the puff-adder. They are found in the rainforests of Mexico and Central America, and have been said to attack with such force that they actually lift their body from the ground. However, they are rather shy and will only strike if harassed. They do, however, bite with greater force than other vipers, and instead of quickly biting and retreating, they often hold on to their enemy and chew to deliver as much venom as possible. 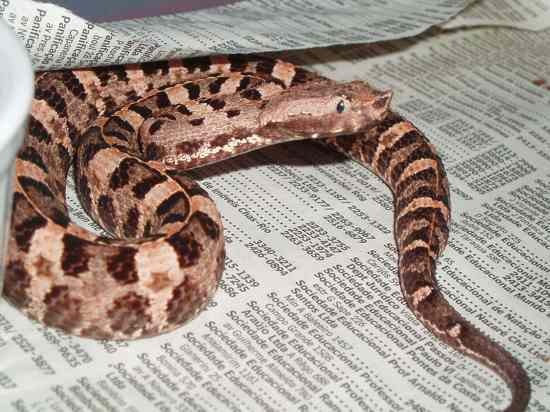 Mexican jumping vipers can grow up to 1.2 meters (4ft) long and their venom has an anticoagulant effect in human blood. These snakes (not true cobras) get their name from their striking coloration and ability to flatten their neck into a hood. They are found in Africa and are highly venomous, but have short fangs and poor eyesight due to their mainly burrowing lifestyle. Even so they should be avoided, for there is no known antidote for their bite. They feed on lizards and small mammals. This interesting-looking viper is found in African rainforests. Its scales are keeled and give it a spiny or bristly appearance. This snake is highly venomous and there is no known antidote against its bite; antivenom used for other snake species bites have little or no effect in spiny tree viper victims. 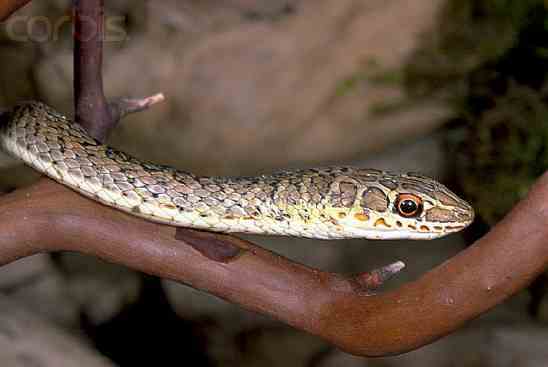 Therefore, this small (40-70 cms long, or 1.3-2.3ft) but dangerous snake should be treated with a lot of respect. Another native to Mexico, Central and South America, the hognosed viper is small (75 cms or 2.5ft long) but has highly hemotoxic venom (it destroys blood cells and vessels). 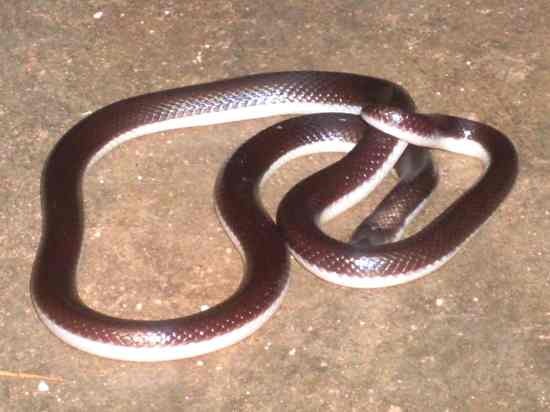 These snakes are little known and found mostly in rainforests, often in coastal areas. Perhaps one of the strangest snakes of all, this burrowing species found in Africa has fangs so long that they actually protrude out of the mouth, like saberteeth. This allows the snake to bite its prey without even opening its mouth. 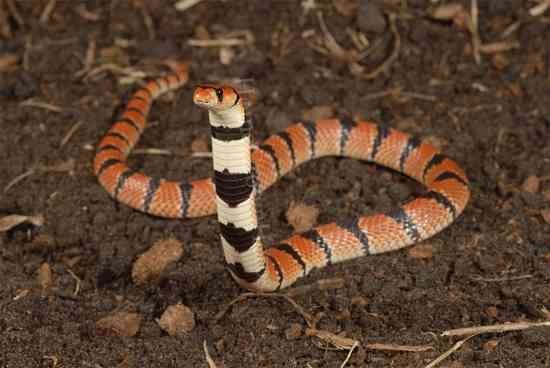 Small and with terrible eyesight, the burrowing asp is usually not deadly to adult humans but children have been known to die as the result of its bite. These slender snakes are found in Africa and belong to the family Colubridae, which is usually not known for its dangerous members (although the boomslang, another African species, is one of the deadliest snakes in the world). Just like the boomslang, the twig snake has its venomous fangs in the rear part of the mouth, which makes it less dangerous than cobras or pitvipers; however, its venom is highly toxic and deadly to humans. Famous German herpetologist Robert Mertens was killed by one of these snakes which he kept as a pet. Twig snakes feed mostly on lizards and birds and get their name from their ability to mimic a twig in a tree, even swaying softly as if moved by wind. They are thus very difficult to spot. Despite their name and appearance, these snakes are not true vipers, but rather members of the Elapidae family which also includes cobras and coral snakes. Death adders are found in Australia, New Guinea and nearby islands, and they have one of the most potent venoms of all snakes. 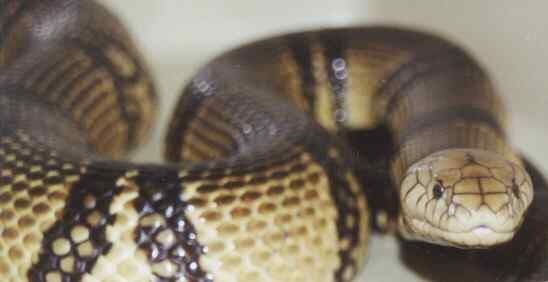 Fortunately, there is now an antivenom specific to this snake, which has greatly decreased the number of victims in Australia. In New Guinea, however, many people still die of death adder bite every year. 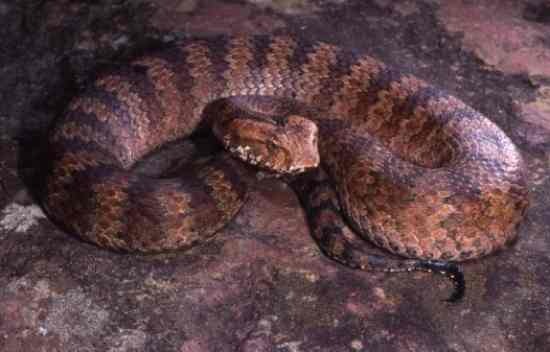 Death adders are well known in Australia, but seldom heard of in the rest of the world. 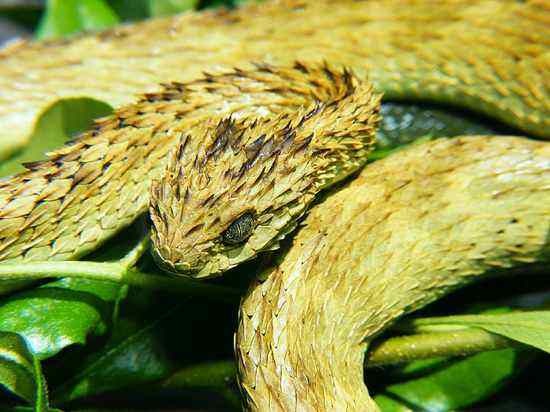 Found in the Brazilian island of Queimada Grande, this pitviper evolved in a habitat where the only available prey were birds (the island has no native mammals); to prevent them from flying away, the golden lancehead developed an incredibly strong, quick acting venom. 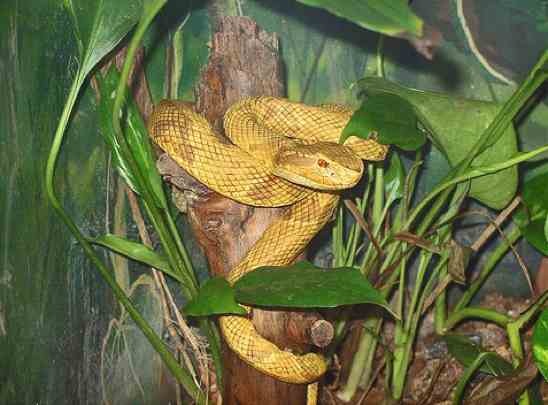 The island of Queimada Grande is the only place in the world where these pitvipers can be found; but their population is so dense that the island has been declared a restricted area by the Brazilian government. It is easily one of the most dangerous places in the world. Although officially there have been no recorded human deaths caused by golden lanceheads, people living near the island tell tales about people who were in Queimada Grande and met horrible ends; a man who went to pick bananas on the island was later found laying on his boat in a puddle of his own blood, after being bitten by one or more lanceheads. But perhaps the most famous story is about the last operator of the island’s old lighthouse; according to the story, one night, the operator and his family (wife and three children) saw the lanceheads entering through a window. Terrified, they fled the lighthouse and tried to reach a boat to escape the island, but they didn’t go far; they were bitten by the numerous snakes hanging from branches overhead.